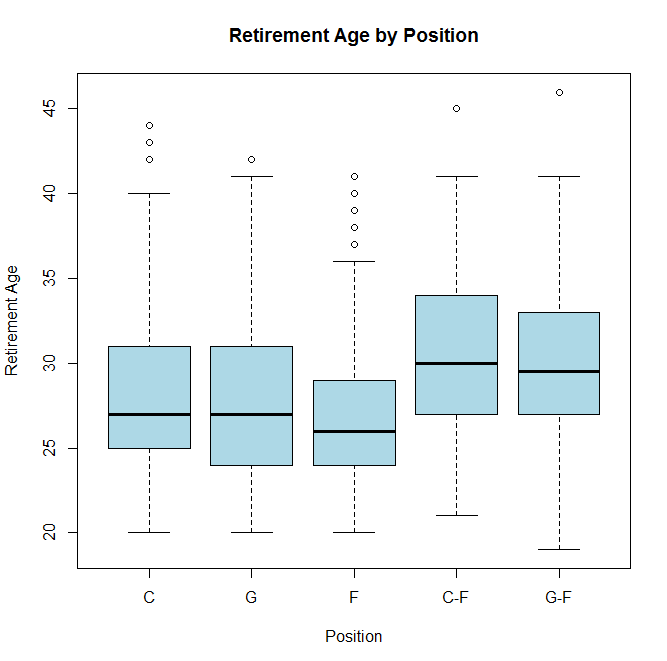 It seems like the median career length is 2 years for centers, guards, and forwards. 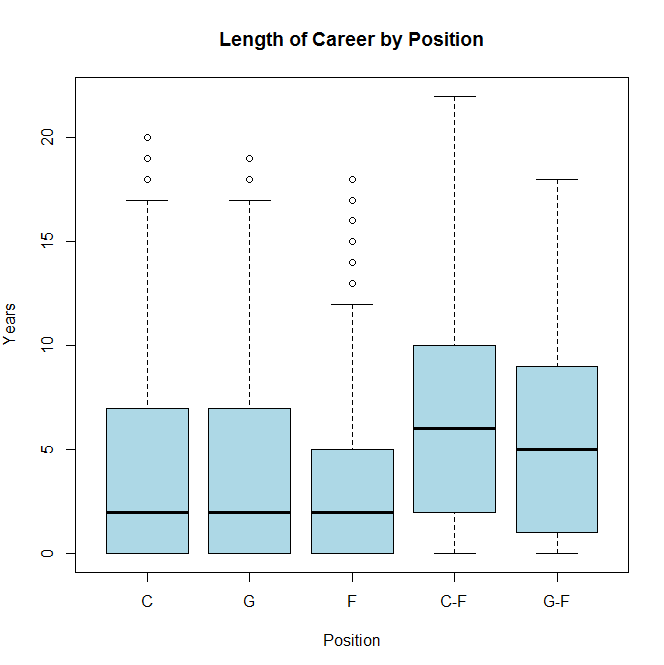 We can see that centers and guards tend to have longer careers than forwards in general. If we look and C-F and G-F, we can see that these players average significantly longer careers than single position players. I don’t know a lot about basketball, so its difficult for me to speculate why these players have longer careers. Maybe they’re so athletic that they can easily play either position and more athletic players tend to have longer careers? Maybe these players have been in the league so long that they get moved around and thus earn the “C-F” or “G-F” designation? Any theories from people who know more about basketball?